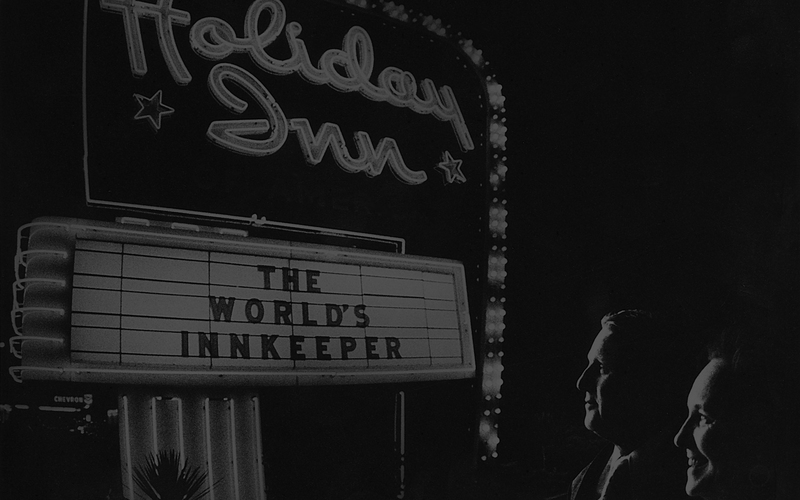 The idea of Holiday Inns was born from a frustrated father on a family vacation. In 1951, Dorothy finally persuaded Kemmons to take a break so they packed up the children, all five of them, and head to Washington, D.C. to visit the national landmarks. By the time they reached their destination, Kemmons had formulated an idea, borne from the discomforts he had encountered as he and his family trekked across the land. Outraged at being charged extra for each child at every roadside lodging where the family stayed, not to mention the cramped, uncomfortable accommodations, Kemmons decided to reinvent the lodging industry. His idea was to build 400 motels across the country, each within a day’s drive of the next. Kemmons measured every nook and cranny of every room where the family stayed. By the time he returned to Memphis he had the ideal dimensions for efficiency and comfort in a motel room. His formula was so accurate that it remains the standard for many hotel rooms built today. Back in Memphis, Kemmons had a draftsman draw up the plans from his notes. The draftsman happened to watch a Bing Crosby movie while he worked and he jotted the name of the film at the top of the plans. The movie was Holiday Inn. By 1952, the first Holiday Inn opened in Memphis, TN and by end of 1953 he had three more open but was out of money to build more. A lack of money did not stop Kemmons. He partnered with Wallace Johnson and they set out to “franchise” the concept. 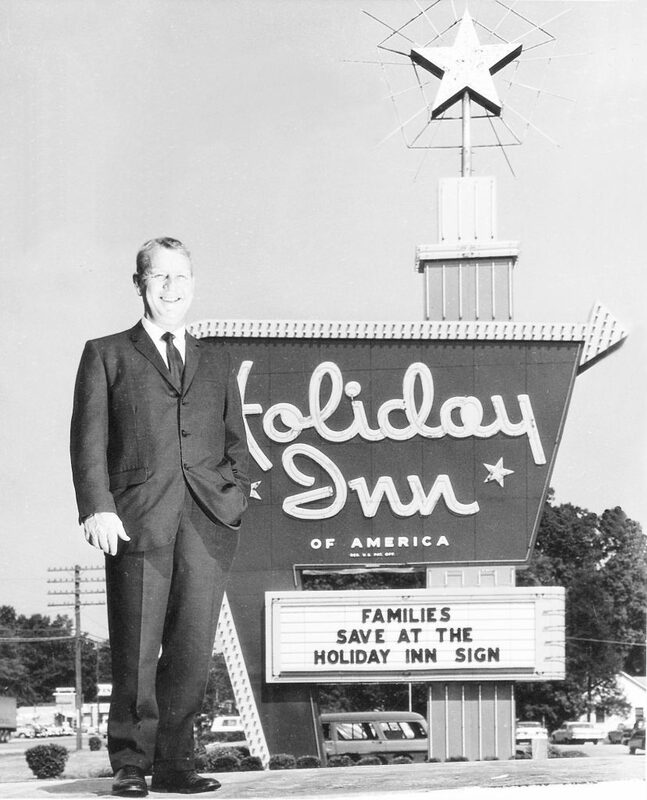 After a rocky start, their first franchised Holiday Inn opened in Clarksdale, MS in 1954. In 1957, they had their first public offering with 120,000 shares at $9.75. This financial event truly helped get them off to the races in the world of hotel building. Forming a partnership with Gulf Oil that included anyone with a Gulf credit card could charge their HI stay to it and they traded site information. Purchasing 30+ companies that provided just about everything an HI franchisee would need to open a new HI and building a showroom to display and sell the items. Created the first central reservation system (Holidex) for the hospitality industry through a partnership with IBM.